Thank you for visiting the website of Catlin Dental. 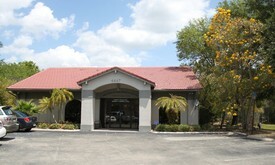 We welcome you and your family to our practice for state-of-the-art dental care in a relaxing setting. Our Fort Myers dental office is conveniently located just off Colonial Boulevard and is open five days a week to accommodate busy schedules. Please refer to our contact information below and give us a call. We hope to hear from you soon!